I was listening to the new 99% Invisible podcast, The House that Came in the Mail, which is on the kit homes of Sears and Roebuck from 1908 until the 1940’s. This is a topic that I’m actually pretty interested in and, if you don’t know it, 99pi (as it is called) is one of the best podcasts out there for nerds. I have an arts and crafts bungalow, originally two bedrooms, in Oakland, California. It has been stated, though I’ve never verified, by at least one contractor that it is probably a kit home, though I doubt it is a Sears and Roebuck model. There is at least one 90% identical home within a block of me, clearly built on the same plans and then modified over the nearly 100 years since then. Another aspect of my neighborhood is that it was a redlined area (or is that an area within the redline?). My neighborhood of North Oakland is one where Black Americans were allowed by banks to get a mortgage. 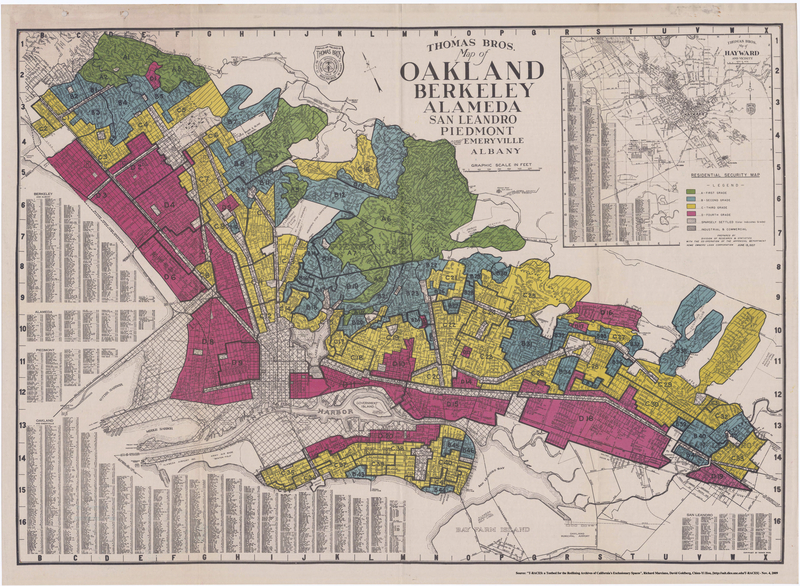 Something that shamefully too few white folks like myself know about is that one of the mechanisms of institutional racism used to control where minorities lived was the practice of redlining. The 99pi podcast is about the kit homes that Sears and Roebuck, and later others, sold by mail order. In their example of these homes, a sealed boxcar would be shipped to the purchaser, who had selected the home from a catalog. A local foundation would be prepared and the boxcar would contain all of the parts of the home from the framing to the siding, doors, and interior components. Part of why Sears quit selling these homes is that they also acted as a non-standard mortgage lender to their customers for them eventually. This allowed them to lend money to their own customers on easy terms to then buy the homes. During the Great Depression, Sears wound up forclosing on defaulting loans, causing them to take homes away from their own customers. Needless to say, this is a practice that both damaged their business but also generated ill will. I knew about the homes but I didn’t know that Sears had engaged in the lending aspect of it. One little tidbit that was mentioned briefly in the podcast was much more pertinent to me and that was that Sears did not respect redlining rules set up by various groups. According to 99pi, they were willing to lend to anyone, including minorities. This bypassed, I assume largely accidentally, the institutional attempts to force minorities to not purchase homes in “white” areas. I suspect that it also caused more kit homes to be built in redlined districts as well, as I know the terms of the lends to minorities in these areas were often pretty bad. I wonder if anyone has done a study of the effect that this lending by Sears to purchasers of their kit houses on minority home ownership and location. It is strange and (again) probably non-intentional antidote to instituional racism that had just slipped past my notice somehow.